Thank you for taking an interest in our herd of Saanens and Nubians. Tom and Elaine Phillips began our breeding program in 1979 and has since continued over three generations. 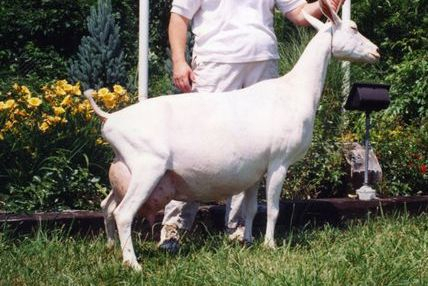 The Nubians were added in 1998. Our farm is located in East Windsor, CT.
Our ideal dairy goat is strong in body capacity, starting with a wide muzzle that leads to a wide and deep brisket and all of this depth is then carried through to the rear rib. We want this body capacity to be coupled with substance of bone but also with dairy character and ribs free of excess fleshing due to a very productive mammary. And last but not least, we want our Nubians and Saanens to excel in general appearance with level and long top lines and a square set of feet and legs with strong pasterns.